One of the forgotten victims in the whole THQ auction mess was the Homeworld series. I have to admit, it completely slipped under my radar as well. I know the series and the games, but I was unaware of THQ being the owners. At any rate, nobody decided to purchase the rights to the franchise and its fate resides in limbo while the bankruptcy process continues. A small group of indie developers calling themselves teamPixel have stepped forward through Indiegogo and asked fans of the forgotten series to provide them with the funds to purchase the game from THQ. Their goal is $50,000, and they have asked for it as quickly as possible citing February 7th as the deadline given that a second auction would be held down the line for THQ’s lesser known and inactive franchises. They are unaware of the date of this auction though, and would like to raise the money sooner than later. The bare-bones $50,000 goal will be enough to secure the future of the series in the hands of fans who want to revive it by distributing the older games, and making both Homeworld Touch and the long abandoned Homeworld 3. However, they provide a lot of incentives and stretch goals for more money, including the entire series for free should they hit $100,000. $50,000 – Our minimum goal. To us, this is only the beginning of our mission together. $100,000 – We’ll release Homeworld, Homeworld: Cataclysm, and Homeworld 2 on GoG.com and Steam for free. FREE! This means no one else on the planet will have an excuse for never having played the series! $250,000 – Homeworld Classic on Touch Devices will show up on the Apple App Store and Google Play Marketplace for free for the first month. We’ll e-mail all of our contributors when it’s available, so you can all snag it at no charge. $500,000 – Still want more Homeworld before the next big game? We’ll begin exploring bringing Homeworld: Cataclysm and Homeworld 2 to mobile devices just like Homeworld Classic. $750,000 – Thank you, thank you, thank you! If we can reach this goal, we will have proven to the industry that the series is definitely alive and well. Every contributor to this campaign will receive a copy of Homeworld 3 when it is completed! 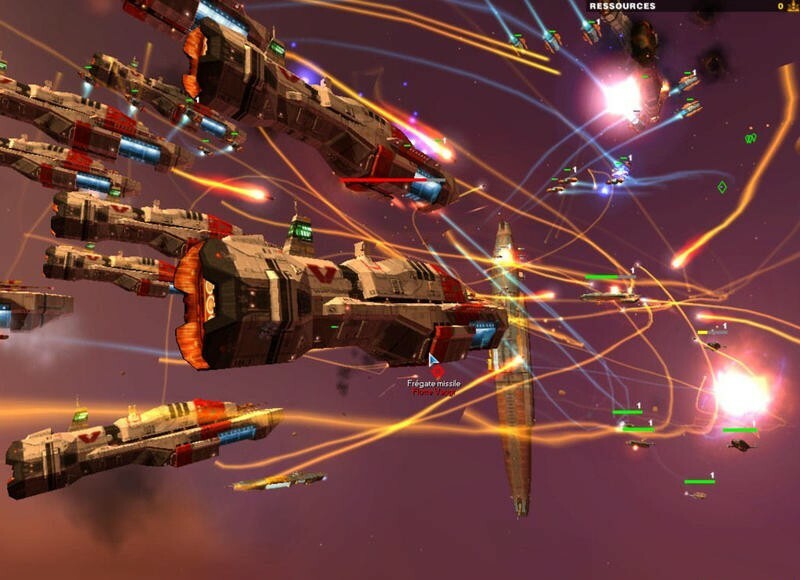 If you’ve never played the classic Homeworld series, they were the first Real-Time Strategy games to use 3D space to orchestrate massive space battles. The first game was a huge and and was followed by Homeworld: Cataclysm and Homeworld 2. They also provided a smart and well thought out science fiction universe with great storytelling and wonderful music which have allowed them to enjoy a cult following over the years. While a lofty goal to be sure from a fledgling group of indie developers, it’s a natural fit. Homeworld‘s developer, Relic, was purchased by SEGA, but they only acquired the rights to the Company of Heroes series. Homeworld has seen its fair share of fan support over the years and it seems like the fan community is just the place for such a cherished series to land. As of writing, they currently stand at $10,000 with 11 days left until the deadline. Good luck, guys.